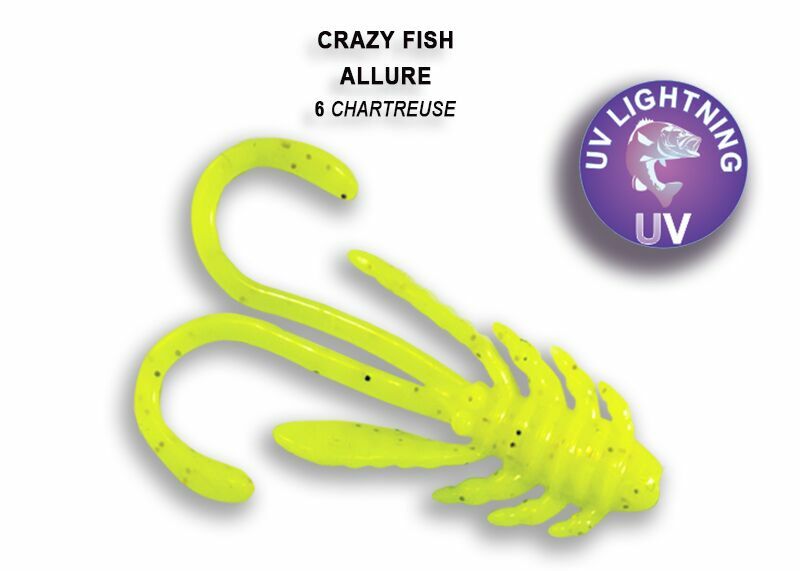 Crazy Fish Allure 27mm is a nicely detailed little lure, which resembles an insect or aquatic nymph. With its two long appendages at the rear, plus legs and fins on the body, this lure can be given lifelike movement with subtle taps and twitches. The Allure works really well on a jig head, flex head, drop shot or split shot rigs. Slow sinking and scented with salt for added attraction, With the 1.1 inch 27mm lure only weighting in at 0.25g it's a great choice for tempting perch, zander, trout and LRF species.